So when you get engaged at Glastonbury with your favourite band playing surrounded by all your friends how do you recreate the atmosphere through to your wedding day? 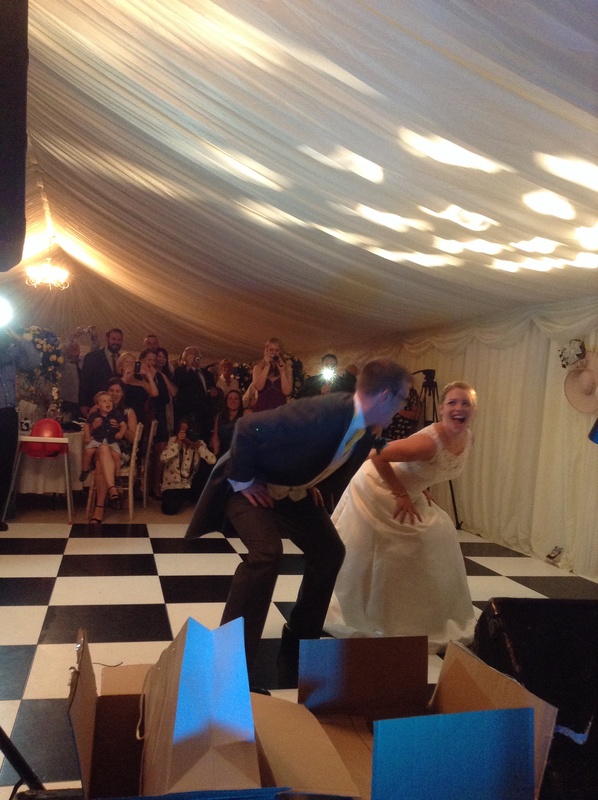 Well Ben & Emily certainly managed it in true style on Saturday. 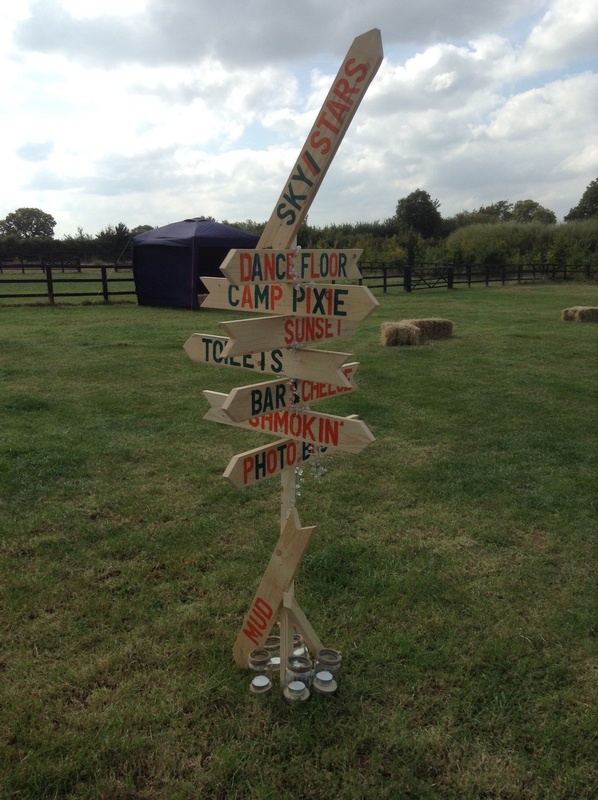 From the hired field in the middle of nowhere to the beautiful Tipis decorated with records and bunting; to the stage & live band; to the camper van & their tent to sleep in overnight! 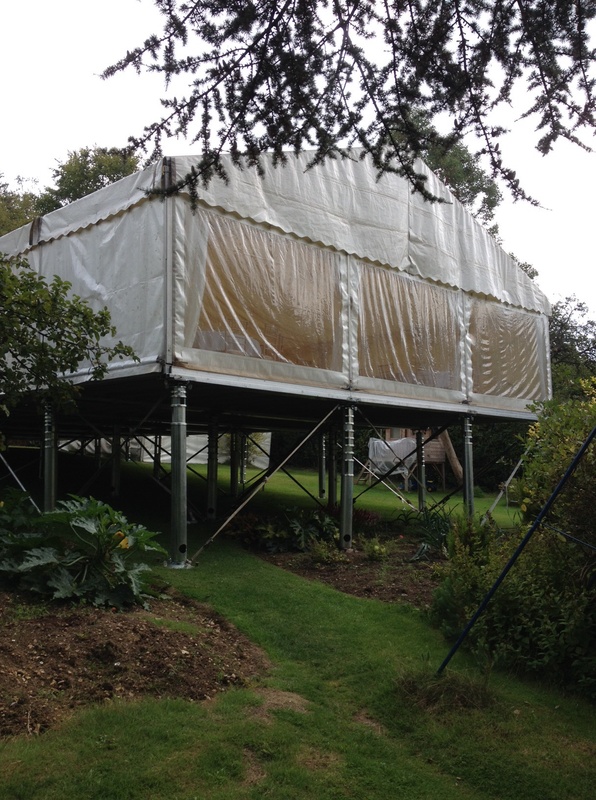 Some would say the only thing missing was the mud! 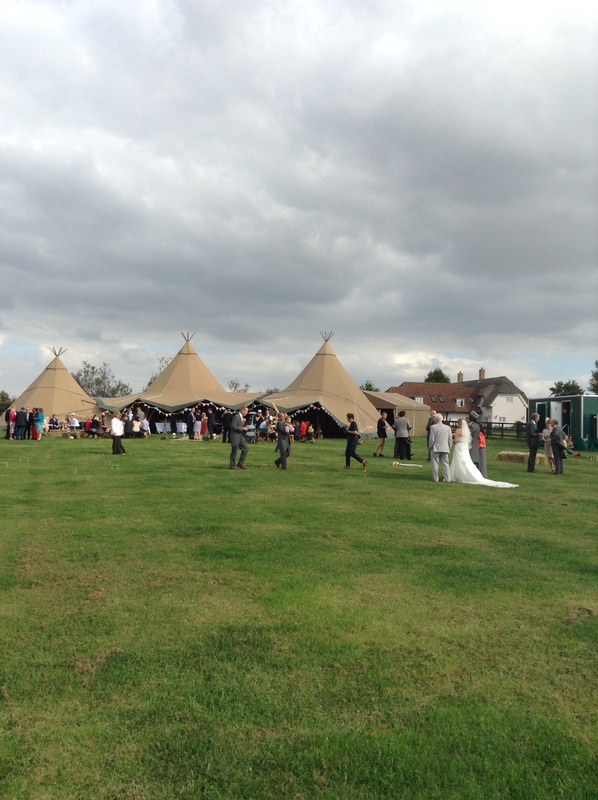 But for such a beautiful couple the weather couldn’t of been more perfect. 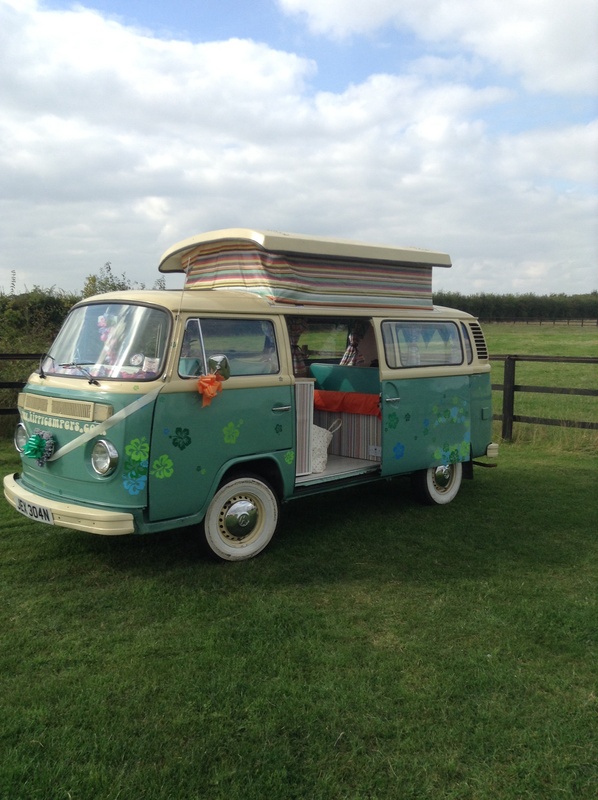 They arrived in a camper van, Emily stunning in white and Ben looking very dapper in morning suit complete with hat and cane, he grinned from start to finish, what a happy groom! We served arrival drinks of gin & tonic and rum & ginger beer, accompanied by canapés of Ham Hock terrine, apple chutney; bruschetta, vine tomato and rocket pesto; mini Yorkie puds; tempura and sesame tiger prawns; Cumberland sausages glazed with honey & beer mustard; and caramelised onion and applewood cheese tartlets. Dinner of braised lamb shank, buttered mash, crispy leeks and redcurrant and mint gravy followed by a trio of desserts was served to a lively crowd, they thoroughly enjoyed it, empty plates all round. 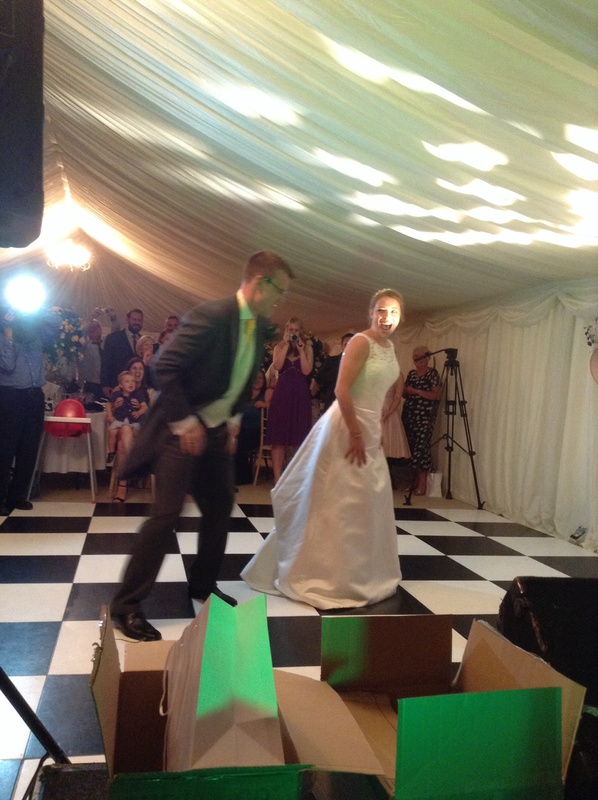 The cake was cut with a sword followed by the first dance to a very beautiful song by Elbow, obviously lyrics close to Ben & Emilys engagement! This was followed by The Copies playing live to an excitable crowd, the atmosphere was awesome. 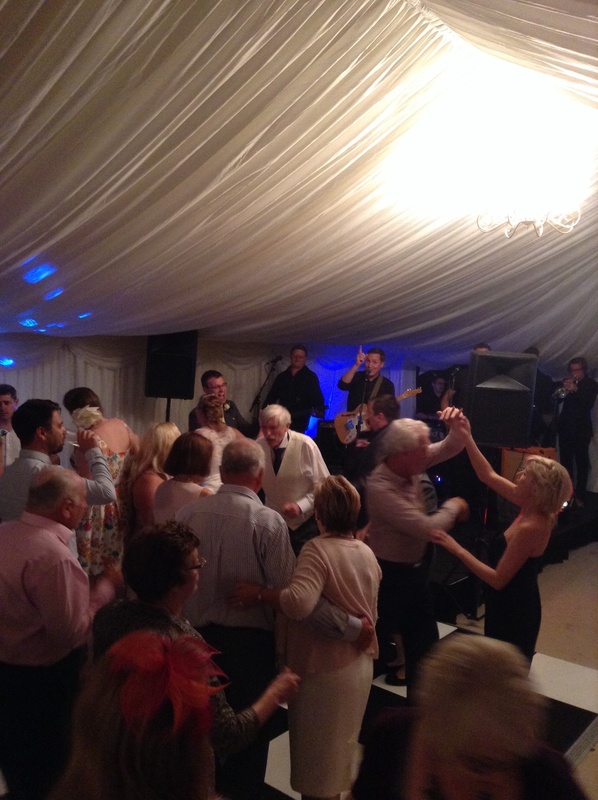 They partied hard into the night, the drinks flowed and everyone had a great day! 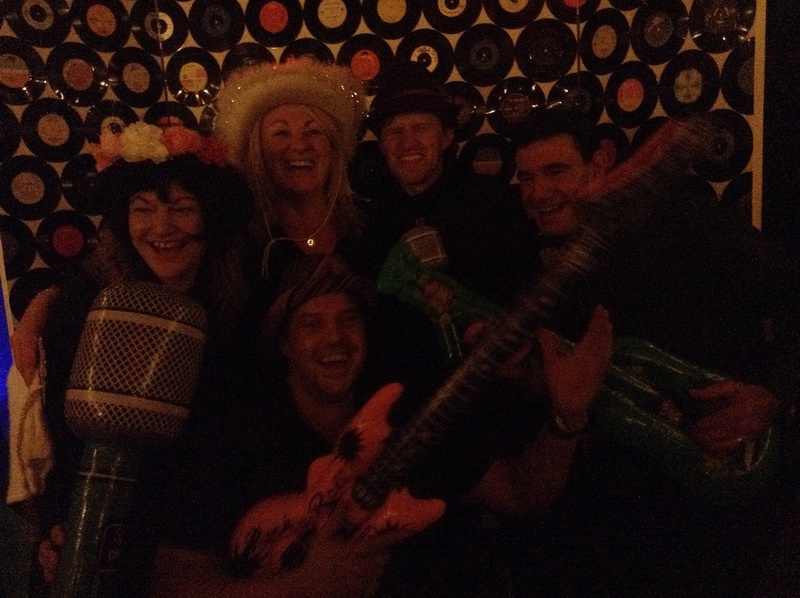 Even we managed to get dressed up in the photo booth! 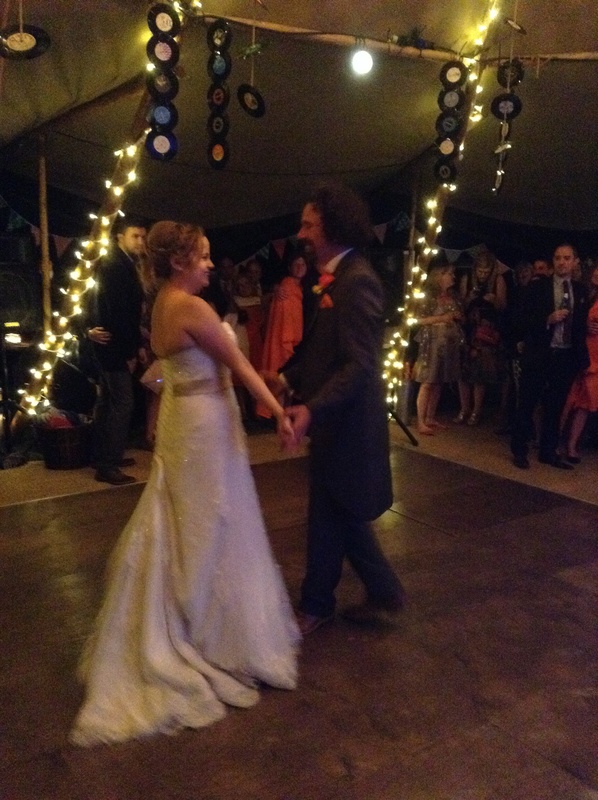 We just wanted to say a big thank you for making our big day so special!! 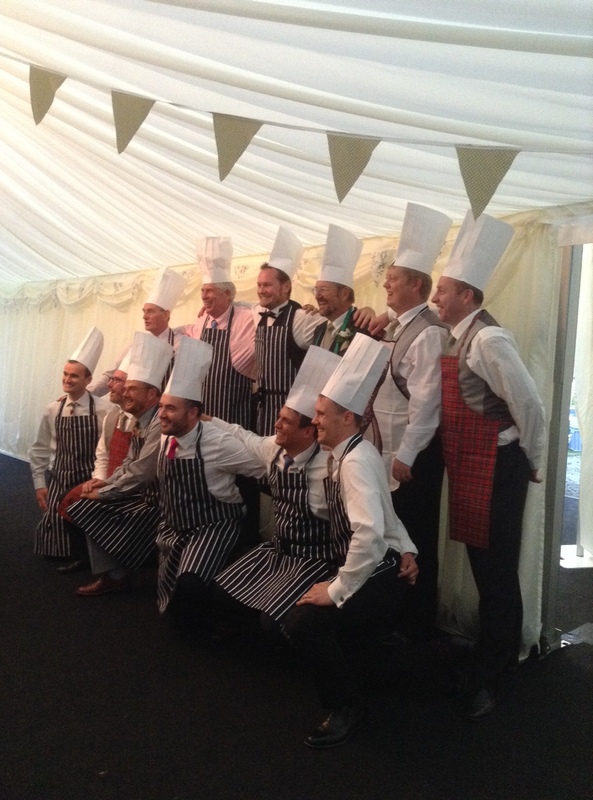 Everyone commented on the amazing food as well as how lovely all the staff were on the day. Ian thank you for going above and beyond to make everything run smoothly! We will definitely call you for our next big party!! 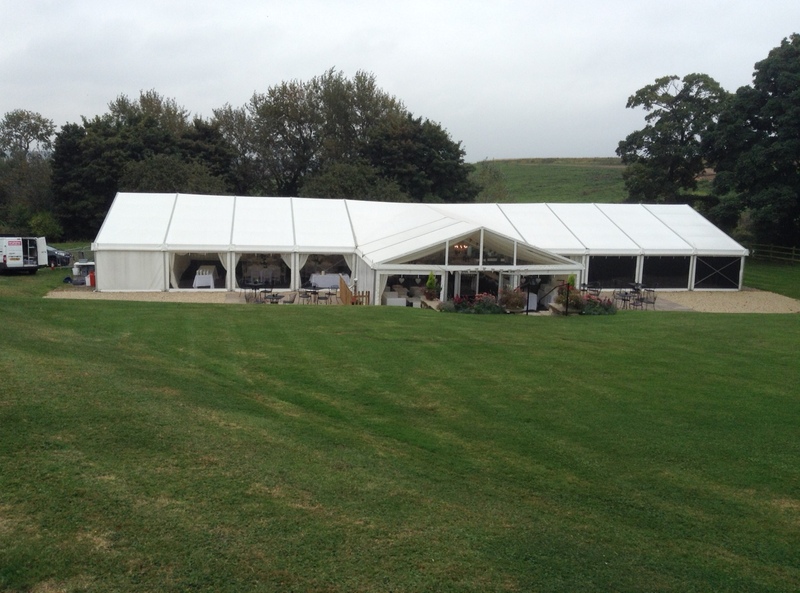 Another busy weekend for us all at KIngfisher, with 2 weddings to cater for. 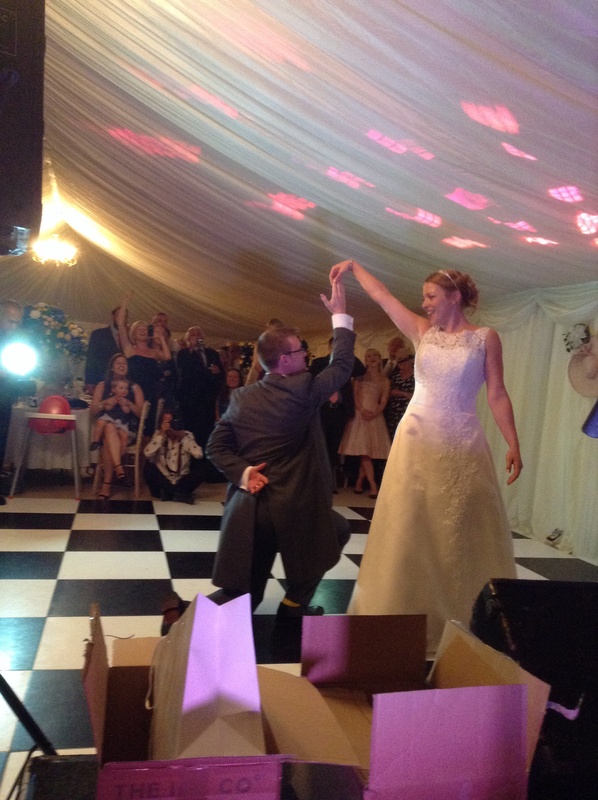 Saturday we were at Gemma & Rupert’s reception at the Holly Bush in St Albans. 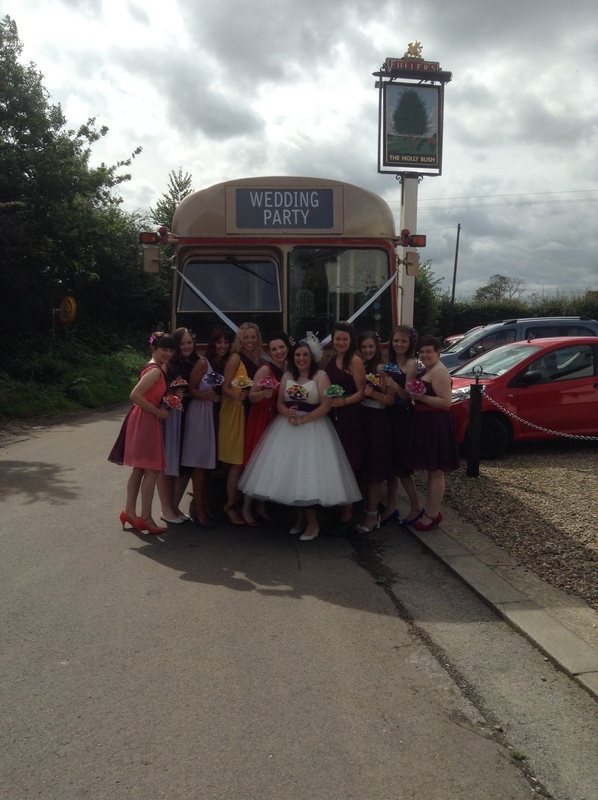 Gemma arrived on an old 50’s style bus with her nine bridesmaids all dressed in colours of the rainbow. 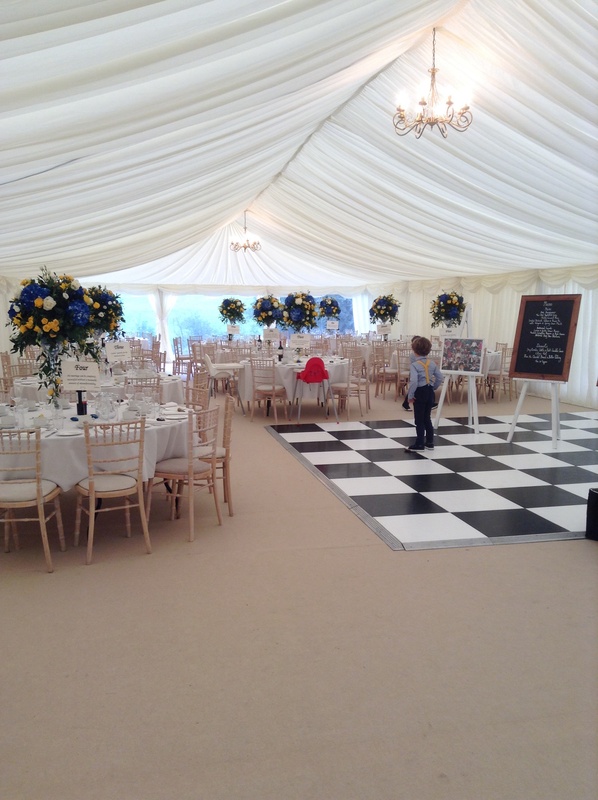 The 50’s eara set the scene of the day, with vinyl records as cake stands and bunting decorating the marquee, it was very colourful. The garden was turned into a chapel with a beautiful arch under which an old family friend performed a blessing. 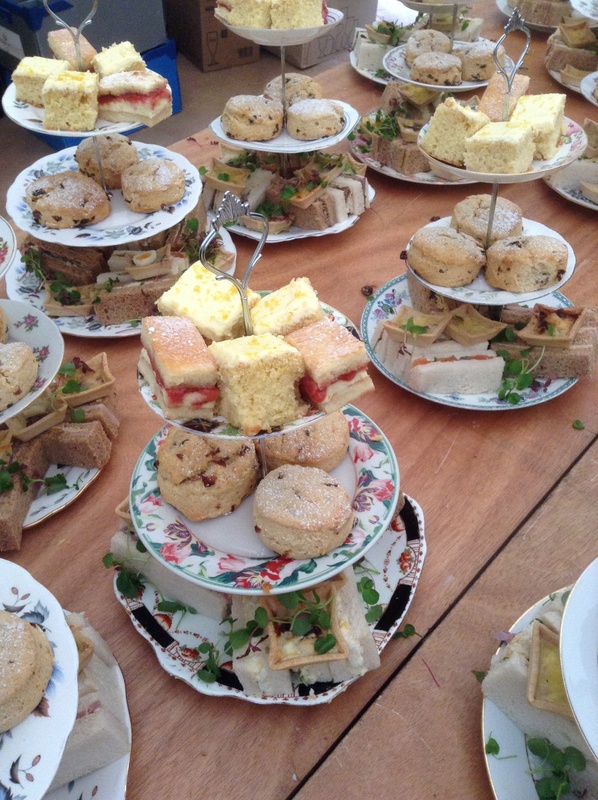 Guests then moved to the marquee for traditional afternoon tea complete with egg mayonnaise sandwiches, Victoria sponge and scones with clotted cream and jam, all washed down with tea and served on vintage crockery. Hog roast in the evening completed the feast and they danced into the small hours. Lovely day. 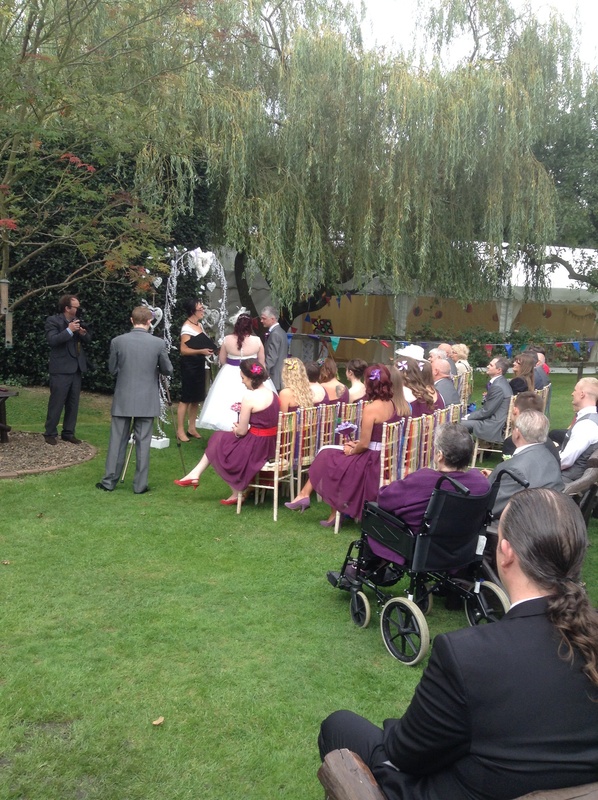 Sunday we made our way to Capel Manor Gardens in Enfield for Laura & Lee’s celebrations. 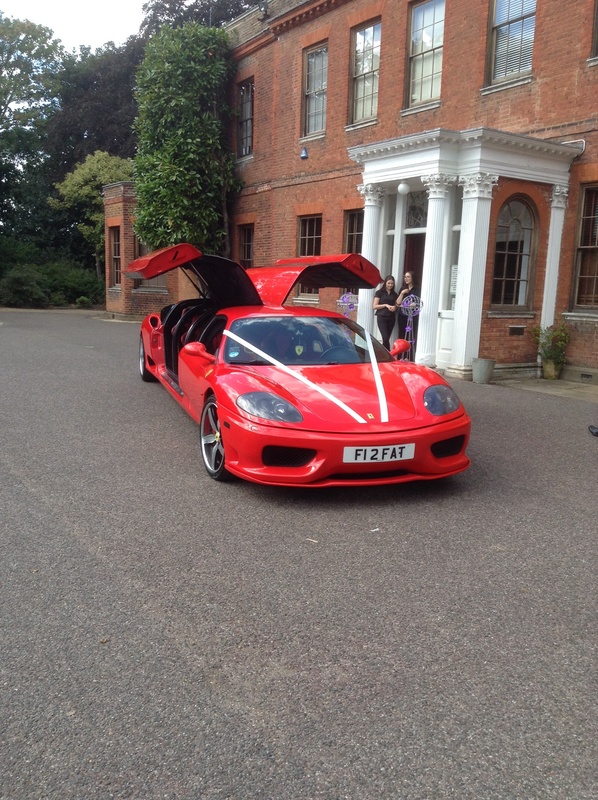 Lee and his ushers all arrived in a limo style converted Ferrari! 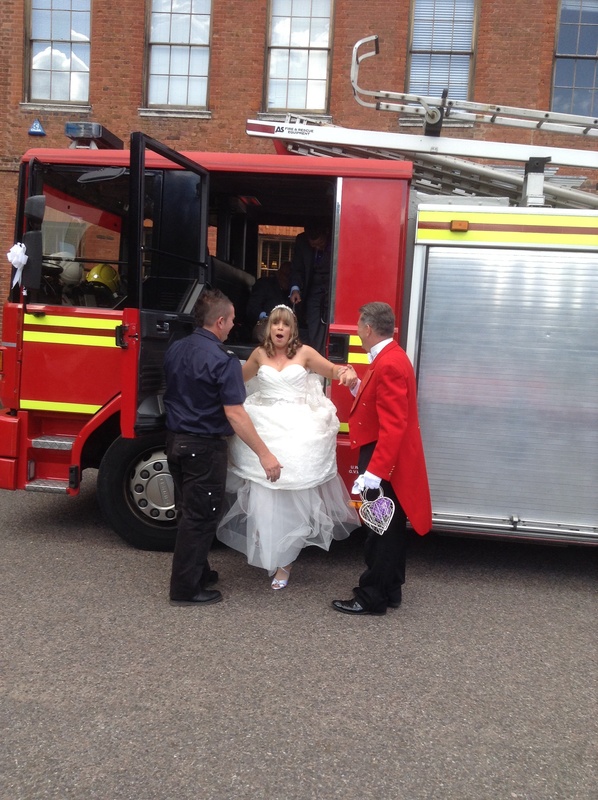 It was a magnificent sight, closely followed by Laura a her bridesmaids aboard a fire engine! 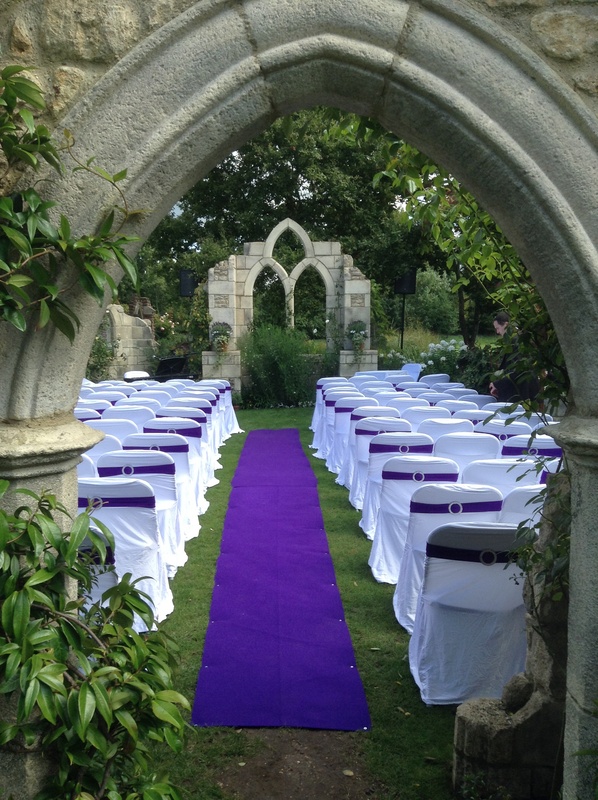 They had their blessing in the beautiful chapel ruins of Capel Manor, there really is nowhere else like it! 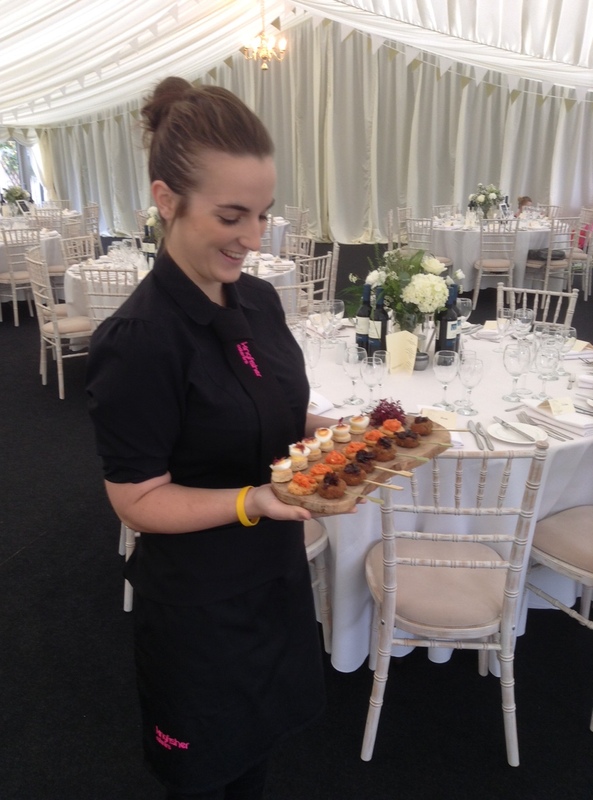 Arrival drinks of Pimms and a selection of finger foods treated the guests as they made their way back to the Manor House. The room was decorated in a chocolate theme, Laura love of chocolate shone through with a Cadbury purple carpet and bridesmaids to match! Stunning! even their dog had a purple collar! Main course of Blade of beef braised in red wine, root vegetables, Parmentier potatoes, green beans and crispy leeks was served followed by a huge Pavalova wedding cake that John had made. They cut through it and we chopped it up into bowls and served it as Eton mess dessert. 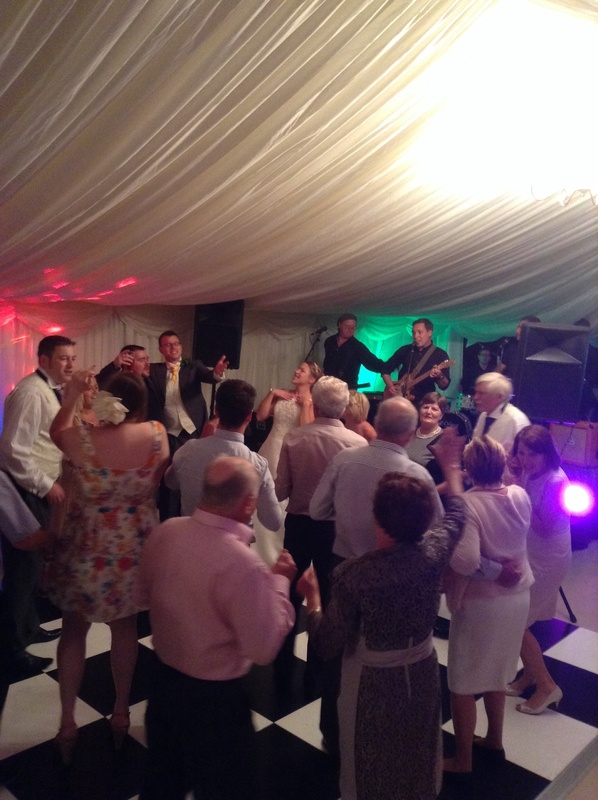 Big band and a great disco rocked them through the evening with a bar flowing it ended up being the perfect day. 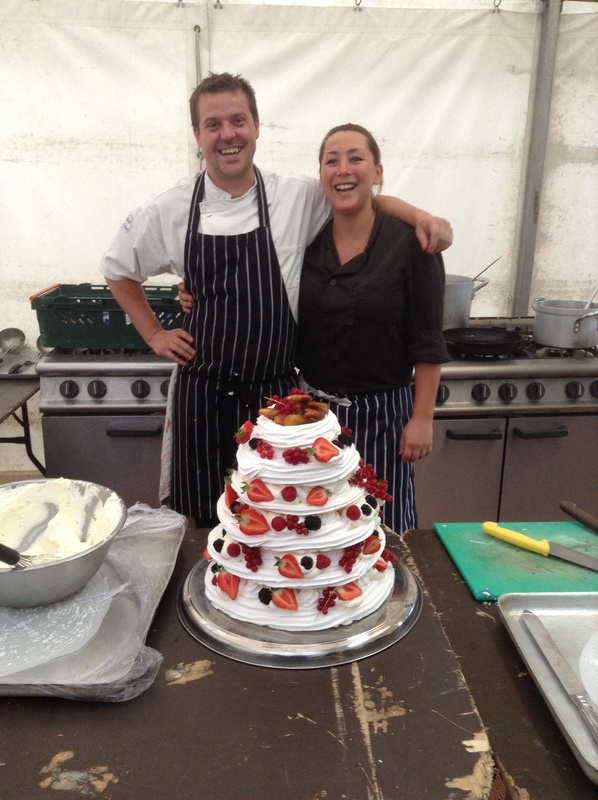 Both our couples were very happy, it was a pleasure for us to be part of their special days!